Has Anyone Asked Rapunzel What She Thinks? It's a really slow week news wise when it comes to fairy tales. With this week and next being two of the biggest vacation weeks of the year here in the states, I imagine it will continue to be slow. I have lists of things I could post here, but I am still busily working on the upcoming Sleeping Beauties. Pouring through even more files is not thrilling at the moment. My new computer is handling all of the many, many files I have open to work, but opening more may test my mental limits if not the computer's. It seems like for any traditional story of prince and princess to fly these days, the princess has to outdo the prince. When’s the last time you’ve seen a princess saved by her prince? These days, she has to win the battle instead of him, or else, well, or else it will look like a patriarchal fairy-tale story that tells girls they’re dependent on men. Or so say many womens-studies departments. So here we have the charming story of how Rapunzel meets her prince: She beats him up. I don’t know about you, but movies that take the manliness out of men (and the femininity out of females, for that matter) aren’t movies I’m terribly interested in. And they say they were trying to attract boys to this movie–ha! Having just published a collection of Rapunzel tales--Rapunzel and Other Maiden in the Tower Tales From Around the World: Fairy Tales, Myths, Legends and Other Tales About Maidens in Towers --I have a different perspective on the matter. Rapunzel is quite spunkier in many versions of the tale--as is true with many fairy tale variants. Granted, she's not beating up her prince, but she does some interesting things none the less across her many incarnations. If anything, the Tangled trailer is upsetting to me because Rapunzel is a supporting character in her own story. Forget that she beats up an intruder trying to steal her stuff--this is more obvious in the foreign language versions of the trailer with extra bits in them. Girls on the side, indeed! And yet, having suffered through a viewing of Princess and the Frog this past weekend--it was my first time and it did not engage me nor my sister who was watching with me--I am much more interested in Tangled, I'll admit. And, geesh, the single disc DVD is currently $6.63 on Amazon. Wish I had paid that for it... Which makes me sad because there was so much potential with the story, but watching a frog for most of the movie didn't really work for me. Anyway, thoughts anyone? I could go on much longer, but I would rather open up the discussion to the few of you who are here reading this week. And the image at the top is for the Disney Tangled Featuring Rapunzel Grow & Style Doll. The Tangled merchandise is already appearing five months out, no surprise. On a somewhat related sidenote, did anyone see Shannon Hale's excellent blog entry, "I knew he loved me when he hocked a logie at my face"? Last week I was with a friend when her 5-year-old daughter reported that a boy her age had been pushing her consistently. Her mother comforted her by telling her that this meant the boy liked her, that when boys like girls they didn't know how to express it so they showed their affection by bullying them. Now, I was told the same thing by my mother, and I've heard that same explanation many times. I don't think I thought twice about it till I saw "He's Just Not That Into You ," which starts with a similar scene. The little girl absorbs that information, then we jump forward to adult women who, still confused by all this, allow themselves to be treated horribly by men, believing that that's how men show their affection. How far do we let this go? After reading her thoughts and the comments, I am reminded that I don't care for violence on any level, so Tangled should disturb me more than it does...I think. Yes, a very meandering post, but hey, it is what it is today! The Frog Prince and Other Frog Tales From Around the World: Fairy Tales, Fables and Folklore about Frogs is also available in paperback from Amazon. A FROG with a crown on its head. A girl kissing a frog. If you pay attention, you'll notice these images appear frequently in the world around you. These and other variations-many humorous-appear on t-shirts, in advertisements, on book covers and novelty items to name just a few. Their shorthand message: You have to kiss a lot of frogs to meet your prince. Just about anyone will tell you it's from a fairy tale, some may be able to tell you the story. Not many people know that the familiar story isn't really an old tale but a fairly new variation of several tales that have been circulating for centuries. 'And so the princess kissed the frog, turning him into a prince before her very eyes.' A frog transformed into a prince with a kiss. That's how "The Frog Prince" fairy tale ends in modern popular culture, but it's not the way our ancestors knew the tale. Most often, violence was the key to ending the enchantment in the earliest known versions traced back to Scotland and Germany. From wise creatures to hapless victims, frogs and toads appear in numerous stories around the world. Edited with an introduction by Heidi Anne Heiner of SurLaLune Fairy Tales, this volume contains nearly one hundred fairy tales, fables, myths and ballads about frogs, including several variants of the well-known Frog Prince tales made famous by the Brothers Grimm. The book is divided into several sections, including "Frog Kings, Princes and Bridegrooms," "Frog Brides," "Frog Wooing and Courting," "More Frog Tales," and "Fables." Also included is Mark Twain's famous short story, "The Celebrated Jumping Frog of Calaveras County." This was the first collection I compiled and edited for this series. I cut my teeth on it, almost literally. As I read through the proofs after several months away from it, I was entertained by the many frog tales. Yes, the first half of the book is an emphasis on Frog Princes and Frog Brides, but I enjoyed the other frog tales and fables almost as much if not more. It is curious how they have similar personalities and messages across cultures at times. I hope those of you who seek out a copy enjoy it, too. The Fairy Tale Fiction of Anne Isabella Thackeray Ritchie: Selections from "Five Old Friends" and "Bluebeard's Keys and Other Stories" is now available on Amazon in paperback. 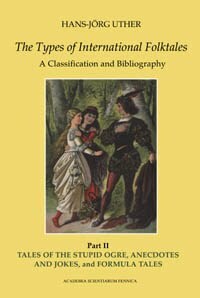 There are a few variations of this book available since it is primarily a compilation of old texts, but this one has been carefully scanned and edited from the originals and also offers my introduction about Ritchie, fascinating woman that she was. This is also the first collection to focus on her fairy tale explorations, at least to my knowledge and I've done some research. Ritchie's retellings are particularly interesting to me because she set them in modern times--at least her modern times, meaning Victorian times--instead of the pseudo fairy tale settings so many retellings from the past would use. She also shies away from magical elements, but still uses the source materials in fascinating ways. Well, some of the major newspapers appear to be on the same wavelength since The New York Times also just published an article about traveling along the Fairy Tale Road in Germany: On the Trail of Hansel and Gretel in Germany by David G. Allan. I think it is a plot to torture me that I am not traveling far from home this year...but it is another great article with recommended sites for touring and lodging. Or you could do what I did, accompanied by my wife, Kate, and our 2 1/2-year-old daughter, Alice: drive the Fairy Tale Road in Germany, an official but unmarked route designed by local tourism officials to promote sites, some authentic, some imaginary. The 350-plus-mile route between Frankfurt and Bremen snakes past locations that include the actual homes of the Grimms and the fantasy ones of Little Red Riding Hood, Sleeping Beauty, and Hansel and Gretel, along with a mix of foreboding forests, striking towers and even some genuine castles. And this article also reminds us that the bicentennial of the Grimms's first publication of their fairy tales is in 2012, not that far down the road. Now I have to start pondering how we'll celebrate that one on SurLaLune. For those of you not living in the Sky Broadband area, they have an advertising campaign to accompany their contest I posted about on Friday. on them are cool too. In my admittedly light searches, I couldn't find images of the posters, but I did find the Princess and the Pea commercial to share. Apparently there will also be ads featuring Little Red Riding Hood and Sleeping Beauty, too. If they become available on the internet, I will share as I find them. Or if you find them, feel free to send links. I am feverishly working on completing the Sleeping Beauties book and am not devoting much time to web surfing right now. And I admit the "It's perverse" made me smile, too. Rapunzel and Other Maiden in the Tower Tales From Around the World edited by Heidi Anne Heiner is now available for ordering on Amazon. RAPUNZEL. Just the name conjures up images of long golden hair and tall stone towers. She remains part of our popular culture thanks to countless children's books, as well as advertising, movies, and merchandise. Rapunzel, far from falling into historical obscurity, is very much a part of modern culture. However, she is far from the only maiden in a tower to be found in folklore. Her tale and those of other imprisoned women reach back hundreds of years and come from many cultures from around the world. This anthology of tales offers several stories similar to Rapunzel. A few better resemble the tale of Maid Maleen, another imprisoned daughter. Most are tales of other imprisoned maidens, princesses, and wives from around the world. Not all of the women are kept in literal towers, some are entombed instead, but all are unwilling captives. They are imprisoned by their parents for their own safety, as punishment, or to guard their virtue. Wives are imprisoned by jealous husbands hoping to avoid cuckolding. A few women are political prisoners. A surprising number of the tales come from France where tower prisons were popular devices of the French salon authors, especially Madame d'Aulnoy. This collection contains over fifty tales and stories--some well-known, some almost forgotten--reaching back to ancient myths and moving forward to recent centuries. Also included are two tales newly translated into English from the original French, "Persinette" and "Parsillette," the latter a rare variant of the tale with an unusual ending. 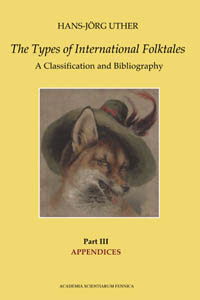 Whether you are a student of folklore or an armchair enthusiast, this anthology offers a diverse array of tales with a unifying theme that both entertains and educates, all gathered for the first time in one helpful collection. There has been a slight delay with The Frog Prince, but that will be available within the next few weeks. I am busily building the full information pages for the books to appear on the website with a table of contents and other information. The book might not have appeared in all distribution channels yet, but it will be available for ordering beyond Amazon by the end of July. Sky Broadband has today launched its 'Happily Ever After' Twitter campaign, with the help of pop princess Sophie Ellis-Bextor, to challenge the nation to come up with new "happily ever after" endings to some of the country's favourite fairy tales... in 140 characters or fewer. Sophie will be asking everyone to send in their alternative endings via Twitter or the competition website at http://www.sky.com/happilyeverafter. For inspiration, Sophie will be Tweeting her own alternative endings over the next few weeks and will personally choose the winning entrant. This comes on the same day that a Sky Broadband survey revealed that Cinderella has been voted the nation's favourite fairytale of all time. The classic folk story which sees a downtrodden young woman battle against adversity to become an elegant Princess, beat other classics like Little Red Riding Hood and Sleeping Beauty to claim top spot. So then I followed up by going to the Sky Broadband page. Oh, lots of goodies there! And I have no idea who Sophie Ellis-Bextor is either. Or I didn't before today. All of that makes me happy except for the last one. No one is too old for fairy tales! But I won't criticize too much since I once thought the same--when I was eleven myself. Ever wondered what happened to Little Red Riding Hood, Cinderella and Snow White once the book closed on them? Did they actually live ‘Happily Ever After’, did Snow White lose contact with the dwarves and is Rapunzel the face and hair for a hair straightening firm? In our search for the greatest fairytale of all time and just because it's fun, Sky Broadband and Sophie Ellis Bextor have teamed up to give the magical world of fairytales new life. Tell us on this site, Twitter (using the hashtag ‘#HEA’) or Facebook (in no more than 140 characters) what happened next in your favourite fairytale plus you could win a fairytale trip worth £2,000 and Sky TV and Sky Broadband Unlimited free for a year. Sophie will be providing inspirational fairytale tweets and status updates over the next 3 weeks. If you want Rumplestilskin, The Three Little Pigs, Little Mermaid and Chicken Licken to live on forever join in and Twitter, Happily Ever After. Now even if you don't live in the Sky region, you can watch along on Twitter and read the entries there or the other social media options. They are feeding into the site linked above, too. Today in the Wall Street Journal we are given a great article: On Germany's Fairy-Tale Trail by Rhea Wessel. I occasionally share travel articles like these and this is a particularly strong one. Some 60 cities are pinned to the Fairy Tale Route, a loose affiliation of villages and cities that claim a connection to a Grimm story or to the brothers. We decided to focus on the trail within 100 kilometers of Frankfurt during a weekend trip in early June. With my husband and our 5-year-old daughter in tow, our tour began in Hanau, where the brothers Jacob and Wilhelm Grimm were born in 1785 and 1786, respectively. The city is home to a wide variety of fairy-tale productions during the Brothers Grimm Festival, the second-largest theater festival in the state of Hesse, which takes place each summer and draws some 75,000 attendees annually. This year, the festival features 90 plays, plus readings and speeches from historians about the lives and work of the Brothers Grimm. Children can choose from a variety of productions such as musicals, ballet renditions of Hansel and Gretel and a sing-along rock concert. There's much more, of course, so click through to read it all. There are also some guides on places to stay and visit. Overall, a more detailed and helpful article than I usually find about the Fairy Tale Trail. This is at the top of my dream vacation list these days. Someday when the economy cooperates again, I will go on this journey...However, my parents are headed on a Baltic cruise next week and have been instructed to seek out anything fairy tale and share it with us. They start out in Copenhagen, but since The Little Mermaid is currently in China, we won't be getting any pictures of her. The Sleeping Beauty by Mercedes Lackey (Kindle edition, too ) is hitting bookstores this week and next--Publisher Luna doesn't appear to have enforced a hard release date for it. This is the latest entry in one of two fairy tale related series by Lackey, The Five Hundred Kingdoms. (Doesn't that leave a lot of possibilities for an endless series?!) This series is published by Luna, a fantasy romance imprint of Harlequin. I usually prefer her other fairy tale related series, The Elemental Masters, since I am more of a sucker for elemental magic plot devices, but there hasn't been a new book in that series in a few years now from the very prolific Lackey. For every princess there's a prince. The king has ultimate power. Stepmothers should never be trusted. And bad things come to those who break with Tradition…. But when Rosa is pursued by a murderous huntsman and then captured by dwarves, her beliefs go up in smoke. Determined to escape and save her kingdom from imminent invasion, she agrees to become the guinea pig in one of her stepmother's risky incantations—thus falling into a deep, deep sleep. When awakened by a touchy-feely stranger, Rosa must choose between Tradition and her future…between a host of eligible princes and a handsome, fair-haired outsider. And learn the difference between being a princess and ruling as a queen. The moral of the story? Sometimes a princess has to create her own happy endings…. Welcome to Eltaria, the land where fairy tales come true. A magical force known as the Tradition focuses on the beautiful Princess Rosamund shortly after her mother's death. After fleeing the Royal Huntsman, Rosamund meets the seven dwarfs, drinks a potion, and falls asleep. When Viking hero Siegfried finds her, he tries to kiss her awake--but Lily, Rosamund's fairy godmother, has other ideas and manipulates events to satisfy the Tradition while giving Rosamund a chance at a loving prince and happy ending. 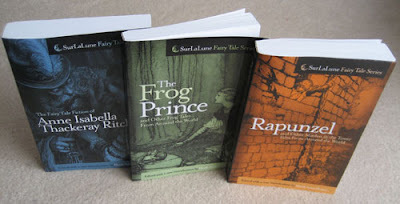 Lackey's fifth fairy tale retelling (after 2008's The Snow Queen) also includes passing nods to "Hansel and Gretel," "The Frog Prince," and "Puss-in-Boots," along with cameo appearances by Brunnhilde and Wotan. Despite plenty of twists and laughs, the plot is surprisingly forgettable, and most of the fun comes from finding all the fairy tale in-jokes peppering the pages. Okay, so this new iPad application is getting a little press. We chuckle when Apple calls the iPad magical, but there are a handful of apps that really make it feel that way. This is one of them. The Little Mermaid app contains three of Hans Christian Andersen's fairy tales and, as you can see by the video, it's a joy to flip through. Like the Alice iPad app, this one will make a lot of children—and grown up fairy tale lovers—giggle all day long. No pricing information is available for the app yet, but we know that it'll be released on June 25 and contain The Little Mermaid, The Emperor's New Clothes, and The Happy Family. Imagine a picture book in which rain drops trickle from the page, steam rises from a plate of "hot cross buns," and animals scurry across the text. A new iPad app launching June 25 brings Hans Christian Andersen's fairy tales to life with an interactive, illustrated ebook that offers a high-tech reinvention of our favorite childhood tales. As I watched the trailer embedded below, I thought, "Pop-up books! In digital form!" Do watch it even if you are skeptical. It's much better than I expected. And, no, not the same as pop-up books but about as close as I've seen so far. Most of the illustrations used in the application are by Vilhelm Pedersen and Lorenz Frolich, the first illustrators of Andersen's tales. Those were pen and ink work and have been colorized for this application. I don't have an iPad but it appears tablet technology will be here for a while to come so these developments are quite interesting. And, if you prefer paper and ink, my favorite book of Andersen's tales with these illustrations is The Stories of Hans Christian Andersen: A New Translation from the Danish translated by Diana Crone Frank and Jeffrey Frank. 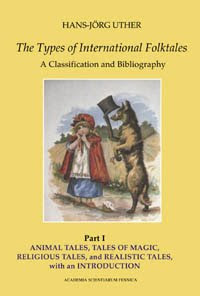 It's not a comprehensive collection but gets the big hitters with some helpful annotations and histories of the tales. There is also The Annotated Hans Christian Andersen (The Annotated Books) by Maria Tatar. They are the most useful Andersen collections on my shelves. Since I play on the fringe of academia, I have to fight hard to keep up with the current trends and publications in fairy tale studies. Sometimes I succeed. Sometimes I don't. There is a somewhat helpful article on Wikipedia, of course. It has a long list, but it is lightweight in giving background. Then if that whets your appetite and you want to see the new classification system, well, then you will have to find a library. Or order the books for yourself. (They are surprisingly not horribly priced considering they are academic.) And, no, you can't just find them on Amazon. But this is not an order page. You have to go somewhere else for that--a place that doesn't give as much information about the volumes and what you would be ordering. Here is the bookstore's link. It is the publisher's site and it is the most economical way to acquire the books--it cost more to buy them from the usual suspects (ebay, half.com, etc. if you can even find them there). But if you use the simple search engine box to look for "Uther" you'll most likely get no returns like I did. So go to the advanced search page and search for Uther as an author there. And I'm sharing this because I was curious and wanted to see what I would need to do to add these to my library. And it was complicated enough that I don't want to have to figure out it again, so documenting it here and sharing seemed like an excellent idea. Now you are informed, too. I didn't find an electronic resource (i.e. software or ebook) which would be lovely. Now that's some programming I could enjoy on many levels! And if you know of one, please share the information! Titania Prequel Trailer from Lisa Stock on Vimeo. I've posted about Titana before at "Titania" by Filmmaker Lisa Stock where you can read more about the film. And congrats on moving forward with the project, Lisa! "I love it when the kids get passionate about a topic," she said. Tobin found a way this spring to ignite the minds and excitement of her ten and eleven-year-olds. At the end of March, Tobin introduced a two-month Cinderella unit to her students. The students read many different version of the popular story, and then went a step further by researching analyzing different culture's renditions. "I think this lesson is worthwhile because they learn that culture shapes art and literature. I hope they learned that across cultural lines, we may find differences, but there are also a lot of similarities between us, like the stories we tell," said Tobin. Cinderella is part of the folk tale genre because it is a story that is passed from generation to generation and it is common to a culture. Because of this, fairy tales give people a glimpse into the cultures where they originated. Tobin's students knew from the first day of school that this unit would be one of the final ones of the year. "I have done this project for seven years now and it just keeps getting better each time," she said. One might think young boys might not enjoy this stereotypical "female" story, but Tobin reported that almost all of her students admitted that this was one of the highlights of their year. After studying the tale, which dates back to the first century B.C. and the Greco-Roman tale of Rhodopis, the students got to debate whether or not Cinderella is a good story for children to read. "This was a fun part of this lesson," Tobin said. "The kids got so involved and enthusiastic about it." She mentioned that the students who were pro-Cinderella said it was a nice story of happily ever after and that it showed compassion and true love. The anti-Cinderella debaters questioned why Cinderella couldn't have gone to college and bettered her own life instead of thinking she had to be pretty and get married. With the research and story-dissection finished, the students moved on to creating their own "Cinderella-esque" stories. Each student had to write their own novel incorporating over 30 points in their tale that were central to the Cinderella story -- including a magical helper, the number three, a mistreated hero, and social status. Then on the morning of May 10, the students were able to present their works in the presence of fellow students, teachers, families, and friends. I've been feverishly working on these lovelies the past several weeks as well as an upcoming title. The picture above is of the proofs and there are some slight changes that will appear, but overall, the books are going to be beautiful. At least I think so! If all goes well, they should be available for ordering on Amazon or through your favorite bookseller by mid July or the end at the latest. They will also be available through Baker and Taylor for libraries and other academic institutions. I will post more about the individual titles when they are finally available to order. They are slightly newer versions of the books I published on the Kindle last year, and I will be updating the Kindle editions accordingly. All of these collections greatly expand on what has been previously available on SurLaLune, including newly translated tales and some that have been virtually hidden for many years that are not available on the website. Now the next question is what titles do you most want to see in the future? In my researching, I have the beginnings of several collections. In the long run, I plan collections for Cinderella, Beauty and the Beast, Godfather Death (and other death tales), Bluebeard, Puss in Boots (and other cat tales), Twelve Dancing Princesses, Hansel and Gretel, Diamonds and Toads (Kind and Unkind Girls), Six Swans and Swan Maidens to name several. Which titles appeal to you the most? Edited to add that I have also added a poll at the bottom of the blog for you to vote on preferred titles. I'm working on some level on all of them, but am deciding which ones should take priority. And if you prefer your fairy tales ballet style isntead of dark comic book (see previous post) there is an interesting article about the American Ballet Theatre's (ABT) current production of Sleeping Beauty. It is one of my favorite of the romantic ballets for I love the Sleeping Beauty Waltz. Indeed, “Sleeping Beauty” is considered the high point of Russian Imperial classicism, a celebration of St. Petersburg elegance, ballet’s French roots, and of the splendor of the grande école. Its story-line is distilled to an essence, a battle between good (represented by the Lilac Fairy, Aurora, and Prince Désiré) and evil (embodied by the “fallen” fairy, Carabosse). Deeper yet, it is about the glorification of feminine poise in its many forms. This powerful femininity is reflected everywhere in the ballet, in the Lilac Fairy’s melodious solos and sinuous mime (and knowing smile), in the symbolic dances for the other fairies (each representing a particular grace), and of course in Aurora’s transformation from a joyous and self-possessed teen ager (in the birthday scene), to a Romantic essence (in the Vision), and finally to a triumphant, mature woman in love in the Wedding pas de deux. She is the sun around which this world revolves. The role of men—including the Prince—is reduced to a symbolic minimum. King Florestan, Aurora’s father, is powerless to protect her from Carabosse’s rage; it takes the goodness and strength of the Lilac Fairy to mitigate her fate. And Prince Désiré, whose pure, faithful heart releases her from Carabosse’s charm, would simply continue his empty life of picnics and blind-mand’s bluff and never know true love if Lilac Fairy were not there to awaken him to his heart’s desire. Similarly, his dancing is reduced to a minimum (which is why Nureyev, in his version, added lots of steps). Time for yet another fairy tale themed movie in development. Remember that doesn't mean it's going to be made, just that it is under serious consideration. OK, here’s a great idea. We’re going to take The Brothers Grimm and mash it up with The League of Extraordinary Gentlemen . You know, have ‘dark fantasy’ versions of Red Riding Hood, Jack the Giant Killer and Hansel and Gretel teaming up to solve a murder mystery. Who says there is no longer any reverence for the true good stories? Legends: The Enchanted sounds like an expansion pack for Magic: The Gathering , but it is also a graphic novel by Nick Percival and now, possibly, a film from Brian Grazer and Ron Howard’s Imagine Entertainment. THR's Heat Vision reports that Radical's latest sell is Nick Percival's new graphic novel, Legends , which has caught the eye of Ron Howard and Brian Grazer. Legends trods a familiar path of fairy tale deconstruction. It stars a number of famous fairy tale characters -- Red Riding Hood, Jack the Giant Killer, Goldilocks and Hansel and Gretel -- as wolf hunters, mercenaries, psychic exterminators, and just general badasses. They come together to investigate the murder of Pinocchio, and realize the killer is hunting all creatures of folklore. Alice in Wonderland 3D has caused a rush on all fairy tale and fantasy properties (witness the assorted Oz projects scattered over Hollywood), and while Imagine Entertainment hasn't set up a studio, a writer, or a director, it's supposed that these things are not far behind. Considering the very similar (and long gestating) adaptation of Fables is inching closer to a television debut, I wouldn't be surprised to see this jump to the front of Imagine's queue. That's the cover for the book at the top of the page. And now here's the trailer for the Legends graphic novel by Nick Percival which is due out on June 29 according to Amazon . Yes everyone is riding the fairy tale wave right now. I don't mind because it's all interesting on at least some level!